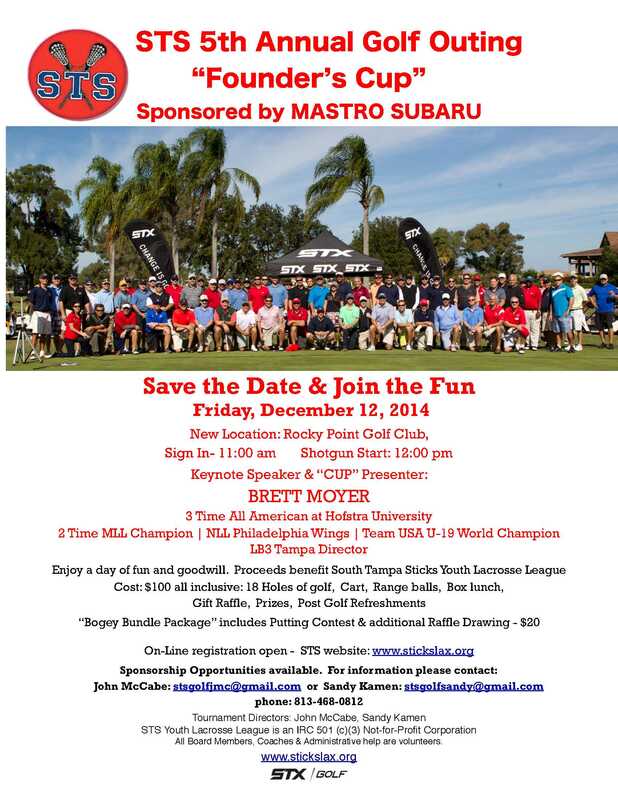 2014 Golf Tournament | South Tampa Sticks Youth Lacrosse League, Inc.
Join us for our 5th Annual STS Golf Outing Sponsored by Mastro Subaru at our new location, Rocky Point Golf Club, on Friday, ,December 12, 2014. Register through our web page at www.stickslax.org or by clicking following link: Register for 2014 Golf Tournament. Sponsorships still available- Hole Signs and Beverage Cart. Raffle and Silent Auction items needed too. Contact: John or Sandy Kamen- , 813-468-0812. Thank you.